- Hand cut from recycled sterling silver sheet, hand drilled holes. 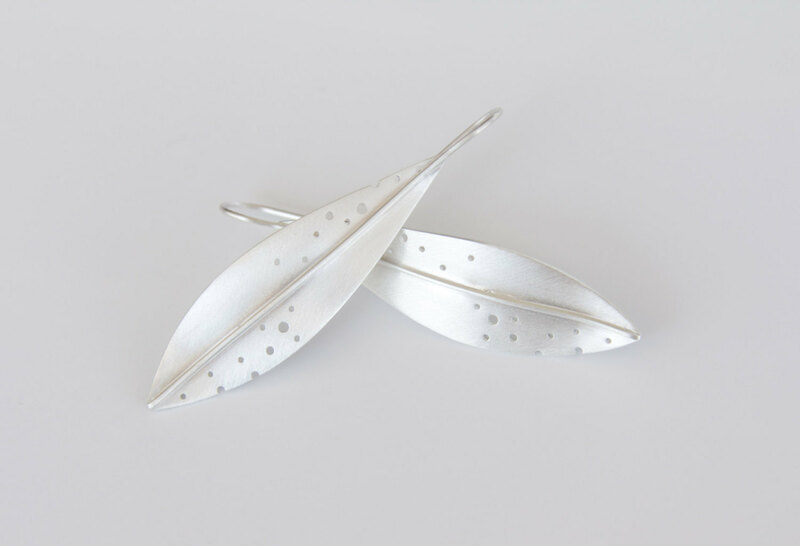 - The earrings are curved by hand to give the impression of a real leaf. - The earrings measure 2.2 inches (5.5 cm) in length by 0.6 inch (1.5 cm) in width.